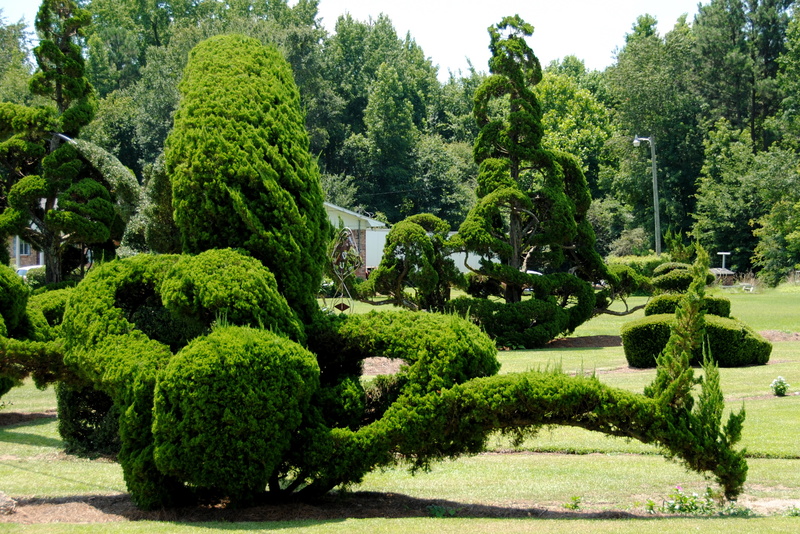 Pearl Fryar just decided to start topiary one day. Of course he did. And now it consumes his South Carolina yard, the neighboring lot, and the one across the street used for parking. Some work are patterns in shrubs, but most are ornate statues that remind me of hairstyles from Dr. Seuss. Have you encountered anything in the real world that reminds you of Dr. Zeuss? Have you discovered a talent you didn’t know you had? Visit the gardens yourself. Can’t see the slideshow? Click here. Wow…he can use my yard if he needs more space. Like your blog and your style.